There is a large chance that a general contractor in Pennsylvania will have to register as a home improvement contractor with the PA Attorney General. This state-level registration may be needed to perform contractor services in your local jurisdiction. Overall, your Pennsylvania contractors license or registration will be managed at the city level. Additionally, contracting businesses will need to know which agency to register with to legally operate in Pennsylvania. A PA contractor will need to obtain general liability and workers’ compensation insurance, tax ID numbers, and more. Below, we examine what it takes and all the necessary steps to become a general contractor in some major cities of Pennsylvania. The Commonwealth of Pennsylvania’s Home Improvement Protection Act is the law that governs the registration of home improvement contractors. The Act allows for an exemption for the registration requirement if the value of the home improvements will total under $5,000. General contractors can register for a home improvement contractor license on the Pennsylvania Attorney General official website. The registration process requires the use of a credit card to pay the application fee of $50.00. There is an additional processing fee of $1.28. After registering, the general contractor will be issued a registration certificate by mail. This certificate number must be included on any advertising, contracts, estimate forms, and written offers used by the contractor. Getting a general contractor’s license in Philadelphia is required to perform any work for which the contractor will receive $500 or more. To become a licensed contractor, you must apply to the Philadelphia Department of Licenses and Inspections. All applications for a general contractor’s license must include proof that a supervisor of the applicant has successfully completed OSHA-30 Safety Training within the past five years. It’s also important to note that all workers on a construction or demolition site must have successfully completed an OSHA-10 Safety Training course. Download and fill out the Philadelphia contractor license application. There is a non-refundable application fee of $20, which is applied toward the cost of the license, if approved. Your license fee is $100 and is only valid for one year. General contractors must reapply every year. In the City of Pittsburgh, any general contractor wishing to conduct either new construction or improvement work on either residential or commercial property must be registered by the city before beginning any work — including demolition work. Your registration process will be conducted through the City of Pittsburg Department of Permits, Licenses, and Inspections. As such, you will need to adhere to the department’s requirements. Your Pittsburg contractor registration will ask that you provide specific information and documents. Read the outline below for the info and requirements that will be asked of you as part of your registration application. Download and fill out the Pittsburgh application for contractor registration. The application is very simple and straightforward but must be completed carefully. Determine the current license fee (which changes every year) by checking the current fee schedule. Complete a check made out to “Treasurer, City of Pittsburgh,” for the indicated amount of the fee. 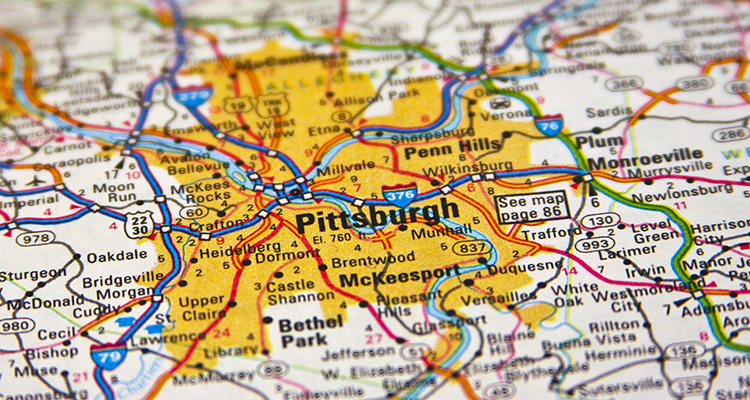 The City of Pittsburgh’s licensing department can also be reached by telephone at 412-255-2858. The city must license general contractors wishing to work within the City of Scranton. The Scranton Department of Licensing, Inspections, and Permits will require you to specify your business structure, fulfill particular requirements according to your business structure, and pass an exam, among other prerequisites, to become a licensed contractor in Scranton. In the case of an individual applicant, the applicant must pass the general contractor’s license test with a score of 70 percent or higher. For partnerships, the test must be taken and passed by at least one partner. In the case of a corporation, the test must be taken and passed by an officer in the leadership structure, and this officer will be the representative of the corporation for licensing purposes. The exam fee is $150 and is non-refundable. Applicants can call (570) 348-4193 to schedule a test. Applicants will be sent an exam score report by mail. Businesses that operate within Pennsylvania are required to register for one or more tax-specific identification numbers, licenses or permits, including income tax withholding, sales and use tax (seller’s permit), and unemployment insurance tax. Contact the Pennsylvania Department of Revenue for more information about business registration and your tax obligations. Businesses with employees are required to carry Workers’ Compensation Insurance coverage through a commercial carrier, on a self-insured basis, or through the Pennsylvania Department of Labor and Industry. To look up and verify a home improvement contractors license in Pennsylvania but license number, business name, or city, visit the Pennsylvania Home Improvement Consumer Information database.